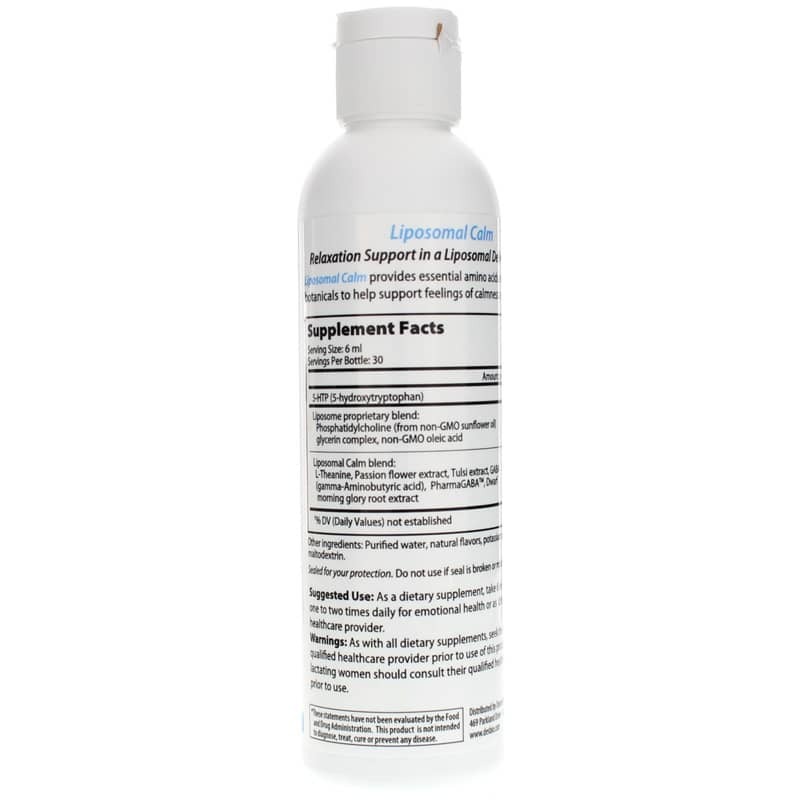 Liposomal Calm from DesBio is a highly bioavailable supplement featuring amino acids, herbs and other important ingredients to provide natural support for feelings of calmness and relaxation. A supplement is only as good as your body's ability to absorb it. And unfortunately, our bodiy can struggle with this task, not through any failure of its own, but because the supplement is not designed in a way that works with the body. 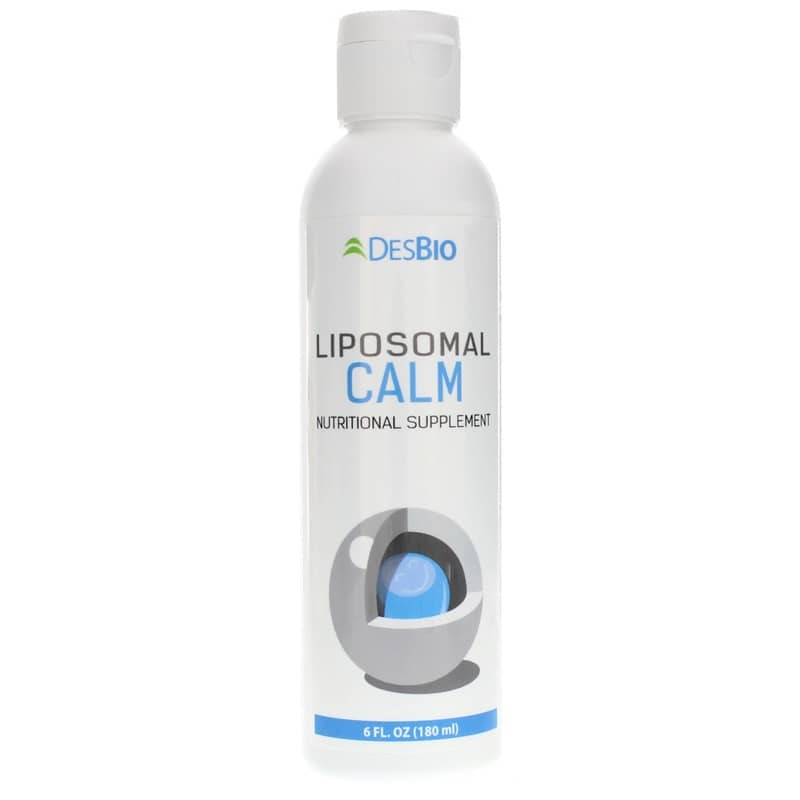 DesBio makes sure this isn't the case with their calming supplement Liposomal Calm. This liquid supplement is formulated with a liposome proprietary blend of phosphatidylcholine (from non-GMO sunflower oil) and non-GMO oleic acid. 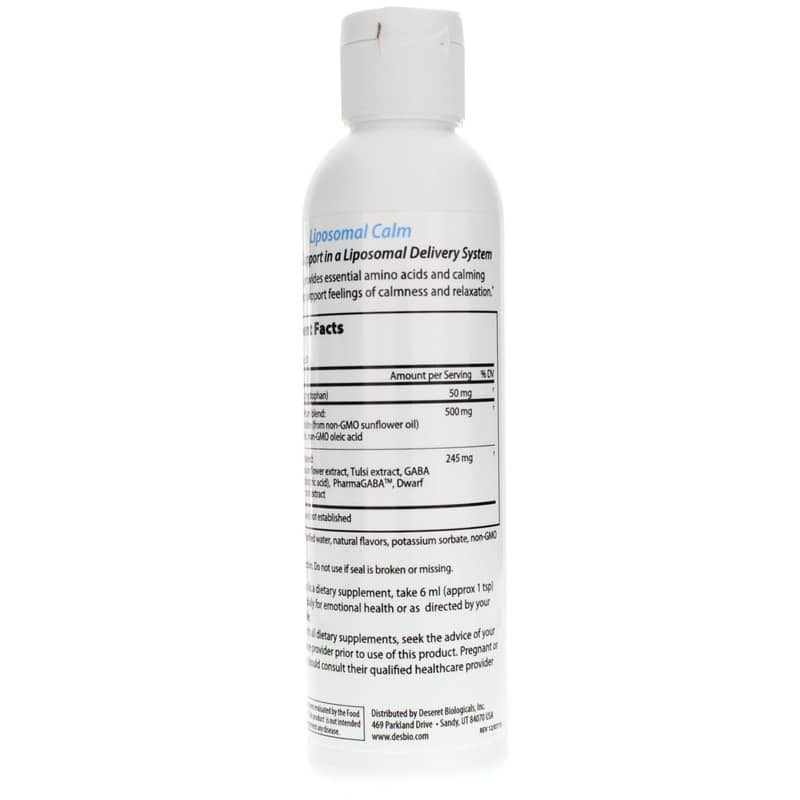 This blend acts as a delivery system for the beneficial ingredients within the supplement, carrying them where they need to go in the body like a ship carries cargo. The cargo in Liposomal Calm is a blend of nutritional and botanical ingredients with natural calming properties. Each serving contains 50 mg of bioactive 5-HTP as well as the amino acid L-theanine and the inhibitory neurotransmitter GABA. It also contains passion flower, Tulsi and Dwarf morning glory extract, which are herbs with natural properties to support calmness and a healthy response to stress. Get the stress support you need where your body needs it. Order Liposomal Calm today. ---Phosphatidylcholine (from non-GMO sunflower oil) glycerin complex, non-GMO oleic acid. Other Ingredients: purified water, natural flavors, potassium sorbate, non-GMO maltodextrin. Adults: As a dietary supplement, take 6 ml (approx. 1 teaspoon) one to two times daily for emotional health or as recommended by a healthcare professional.